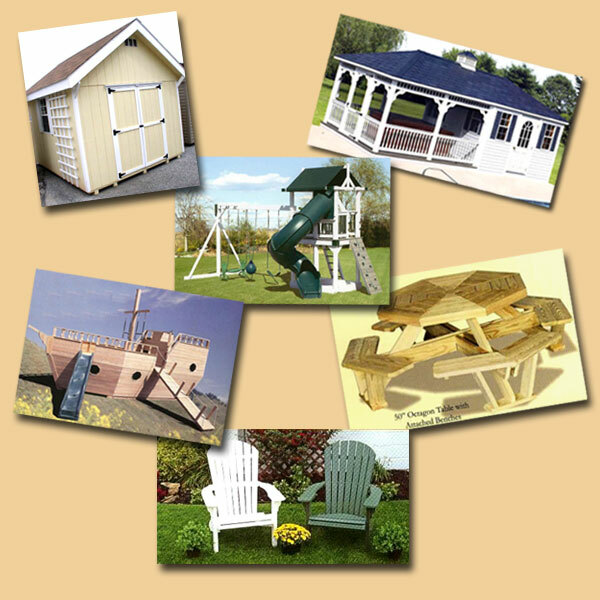 The Barnyard in Hunt Valley MD has a fantastic selection of the best quality storage buildings, vinyl playground equipment, wood and vinyl sheds, gazebos, wood playground equipment, arbors, vinyl playground equipment, outdoor wood furniture, poly furniture, pool house cabanas, portable wood garages, benches, arbors, childrens playsets, smoking shelters and more. Local delivery is available to all parts of Baltimore including Arbutus, Butler, Canton, Fells Point, Garrison, Glyndon, Hereford,Catonsville, Cockeysville, Dundalk, Essex, Fells Point, Garrison, Glyndon, Hereford, Hunt Valley, Mount Washington, Owings Mills, Parkton, Perry Hall, Owings Mills,Lutherville, Mt. Washington, Pikesville, Randallstown, Reisterstown, Rosedale, Sparks, Timonium, Towson, White Marsh, Windsor Mill, Woodlawn and Baltimore City Maryland.